Discussing the 21st century worker is probably the most thought provoking issue from a personal and professional point of view. During my 30+ years in public service, I always considered myself on the creative edge of program, project and policymaking. Our organization was very fortunate to have built and pilot tested a number of innovative business, workforce, education and community development initiatives. As a result, I/we were hopeful that our unique public service demonstrations would be a solid learning foundation for required worker skill-sets in the 21st century. 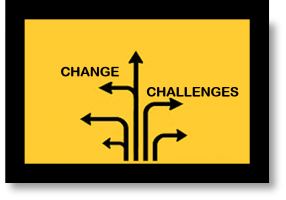 However as time has passed, our efforts were small in comparison to the worker CHANGE-CHALLENGES that appear to be just-around-the-corner! One of the biggest CHANGE-CHALLENGES facing the 21st century public servant is intergovernmental relations. Whether it is state-to-local, region-to-educational institutions, business-to-national (the list goes on), the growing incidence of developing, maintaining and/or inventing great relationships in and across all sectors will be a huge responsibility. As public sector funds become more precious and more targeted, all groups receiving these funds will be pressed to “bunk-up” with another service partner. Now make no mistake, I am NOT suggesting that this is a bad thing. It is always better to get the brain-power of 20 colleagues to solve a problem instead of just one or two. The 21st century challenge however is to progressively train all public servants on the overall effectiveness and efficiency benefits of policy mandated joint ventures. A 21st century professional positioned for employment in the public sector will also have to recognize the evolution and new age application of infused leadership. Infused leadership is not shared leadership or empowerment. Infused leadership is the practice of blending the responsibilities of leadership into every public service position. One benefit of employing this strategy is to lessen the standard levels of bureaucratic decision-making. At the same time, infused leadership can speed the sometimes lengthy public service response times. If leadership responsibilities become creatively embedded in every staff position the reality of a “quicker-smarter government” may eventuate. Additionally, it will be an ongoing CHANGE-CHALLENGE necessity to assist 21st century public sector workers with communication overload. I do not ever see a time that the push for quicker, more detailed information-sharing will decrease. Public servants in every field will be expected to know and understand all of the rules, regulations, programs, policies and funding changes that will impact the public as their ultimate customer. With the increased capacities for all public entities to share information almost instantaneously, local citizens and/or partners in public service will be far less patient when they are told “I’m not sure” by those in the government responsible. Along this same line, we can also assume that the 21st century public sector worker will receive training and participate in meetings that are far shorter in length and more action specific in format. For example, in the near future I believe staff trainings will be delivered one-half online and one-half face-to-face. I am sure that in many private sector areas this is already old news but the modern era public servants cannot afford to be overwhelmed with information because of an eight-hour training session. Instead, the new age will employ a time-sensitive skill-specific training approach and fill in the details with sectional online transmissions. Similarly, administrative staff/board meetings may be structured in a “speed-driven” (or speed-dating) style, with strategy evolving out of intense idea-sharing, rather than lengthy discussions on the “whys” of specific policies. Greater speed, efficiency, knowledge and leadership responsibilities will be our employment CHANGE-CHALLENGES in the 21st century. The public sector worker will face an evolving customer base, greater international influence and an always diversifying population. The expectations of our public customer-base will grow and change at a higher rate of speed than ever before. But I believe with all of the “techno-tools” available, the public administration system will appropriately advance. But remember these CHANGE-CHALLENGES will promote new public service options, new careers and most importantly the daily opportunity to make a difference. Author: Marvin N. Pichla, Ph.D is owner and creative advisor of Inspiring Innovations, Inc. Sharing his unique entrepreneurship and innovation in public service experience, Marv consults with public and private business, education, and community organizations to develop new and different problem solving methods through real-life example-based learning. Email: [email protected] for more information.